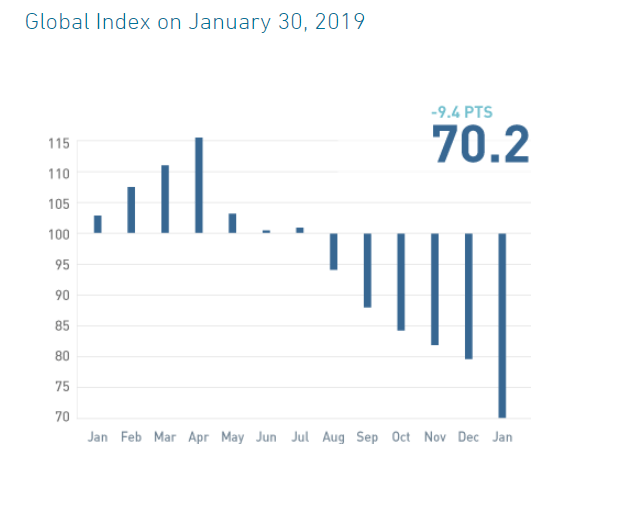 New data confirms what most analysts forecast in the last month of 2018: the Global Investor Confidence Index (ICI) decreased to 70.2 worldwide in January, down 9.4 points from December’s revised reading of 79.6. The most abrupt declined comes from North American investors, where Confidence worsened almost 10 points, leaving the North American ICI from 74.5 to 66.8. On the other side of the Atlantic, the European ICI decreased by 2.6 points to 90.3, while in the Asia region the ICI decreased by 10.3 points to 100.2. The Investor Confidence Index was developed by Kenneth Froot and Paul O’Connell at State Street Associates, State Street Global Exchange’s research and advisory services business. 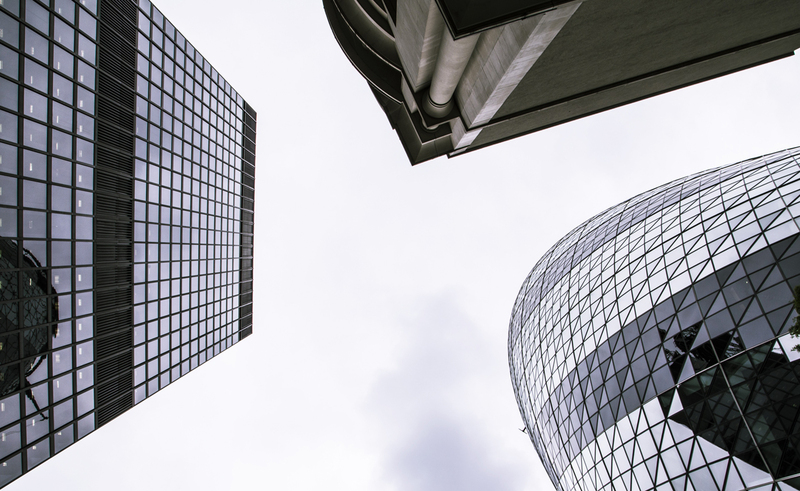 It measures investor confidence or risk appetite quantitatively by analyzing the actual buying and selling patterns of institutional investors. “As we progress into 2019, our global Investor Confidence Index reflects a warp-speed deterioration in confidence. While confidence itself is not necessarily at an all time low, this month’s unprecedented low level reflects the extraordinary rate of retreat hastily beaten by professional managers. Noteworthy is that this retreat has continued through the third week in January, even as stock prices had over January partially recovered from Christmas-eve lows. Clearly, managers are voicing persistent concerns around growth globally and in the nowhere-else-to-go tightening trajectories of US monetary and fiscal policies,” commented specialist Kenneth Froot. Likewise, the index assigns a precise meaning to changes in investor risk appetite: the greater the percentage allocation to equities, the higher risk appetite or confidence. A reading of 100 is neutral; it is the level at which investors are neither increasing nor decreasing their long-term allocations to risky assets. The index differs from survey-based measures in that it is based on the actual trades, as opposed to opinions, of institutional investors. Measuring confidence is critical for the health of worldwide investments. 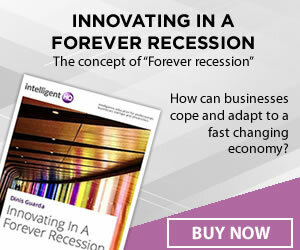 According to the company, confidence in the economy and the capital markets is a critical driver of economic and financial fluctuations and of the business cycle. When confidence increases, consumers and investors want to buy consumer goods, durables and invest at prevailing prices. When confidence decreases, spending and risk-taking tend to fall. As such, investors are said to be confident when the news about the future is good and stock prices are rising. However, rising prices are related both to good fundamentals, such as growth in industrial production and productivity, as well as to the underlying sentiment or mood of investors. A good confidence measure should indicate whether, for a given set of fundamentals, investors have an increased or decreased appetite for risk.